There was only one source of superlative racing car numbers when I was a child, and it was of course Top Trumps. 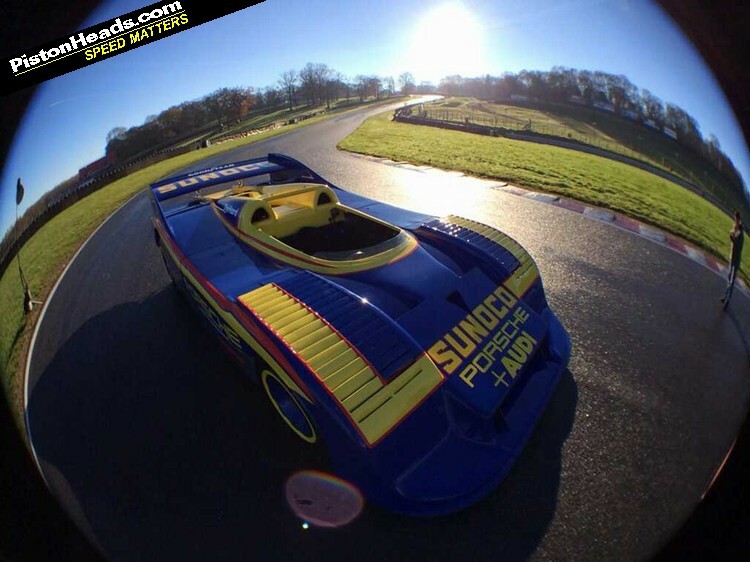 Those dog-eared cards nurtured a passion that burns just as dangerously in me 30 years later, and within my favourite deck of racing cars there was one I used to stare at under the covers by torch light. It was blue and yellow, and its power figure contained four digits. That was the key fact. Four digits. 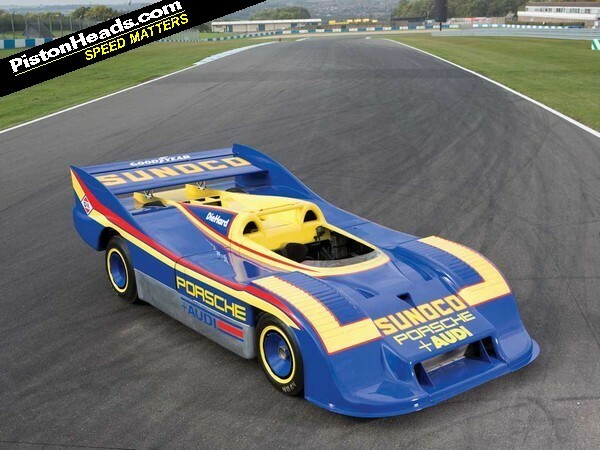 I didn't really understand the Porsche 917/30 back then. It just looked like an instrument of war and, having no family member to explain the car's significance and no internet to learn about Can-Am, all I could was, well, stare at that card. It still lives at my mother's house. 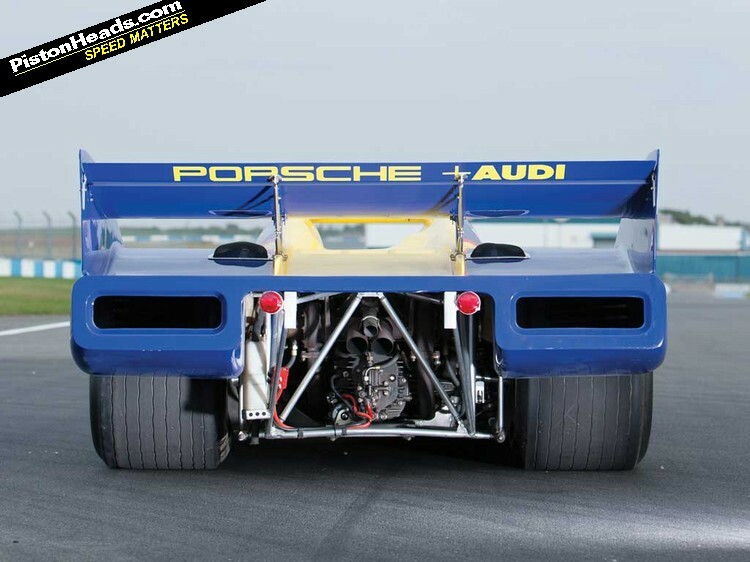 Often I lazily refer to fast cars as a collection of numbers, but the 917/30 really is that machine. 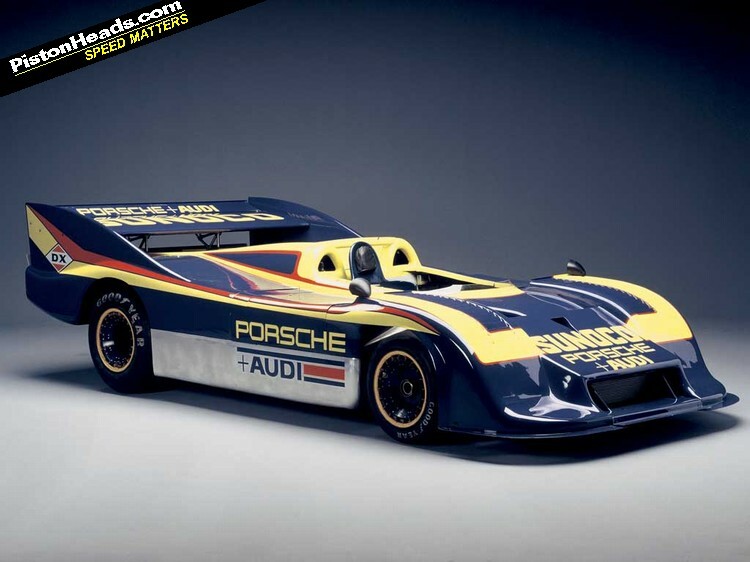 It was conceived not only to win, but to demolish the opposition in the 1973 Canadian-American Challenge Cup as the successor to the 917/10. 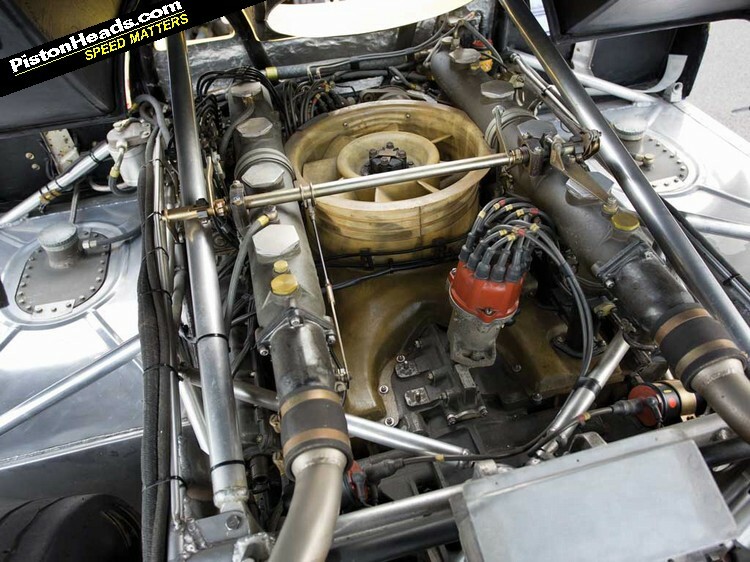 It used a 5.4-litre twin-turbocharged flat-12 which, at 1.3bar was rated at 1,100hp. On the dyno, running 2bar, engineers saw up top 1,500hp. Dry, it weighed 849kg, of which 285kg was engine. 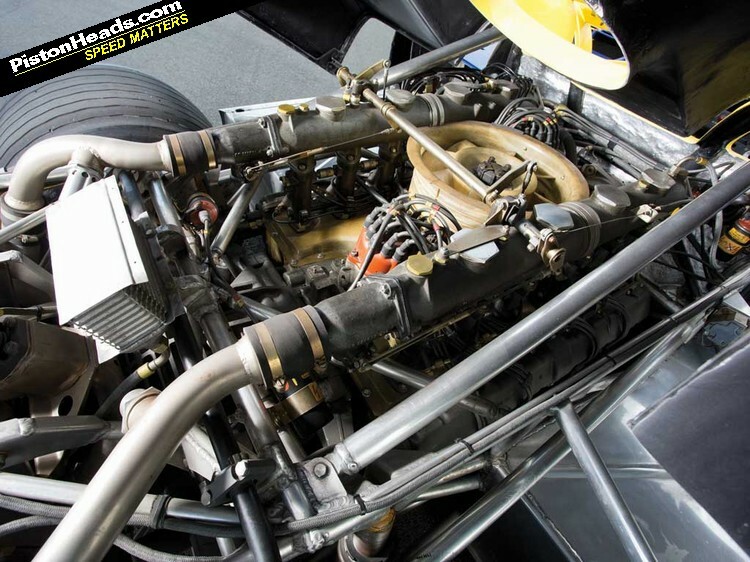 Fuel consumption was something of a problem, running at around 2mpg, so the /30 was fitted with twin 200-litre fuel tanks, and it's this, more than the incredible bodywork, or the 19-inch wide rear tyres that grab your attention when you see a 917/30 naked forward from the hips. And now I need to ask you as question. 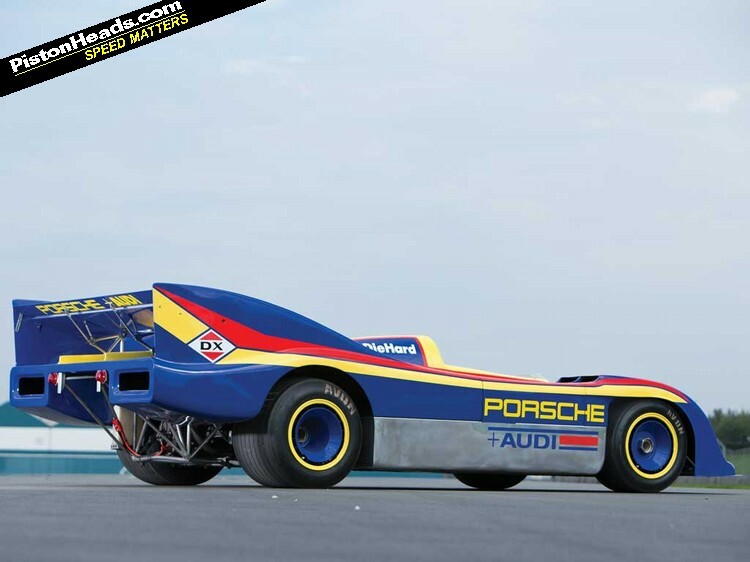 Would you drive a 917/30, even if it wasn't quite a 917/30, and even if you couldn't quite drive it the way you might want to drive it? I'll take that as a yes. 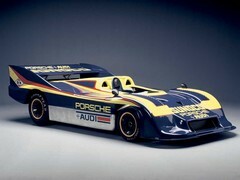 RM Auctions will be selling this car on February 5 2014 in Paris, as part of a significant collection. 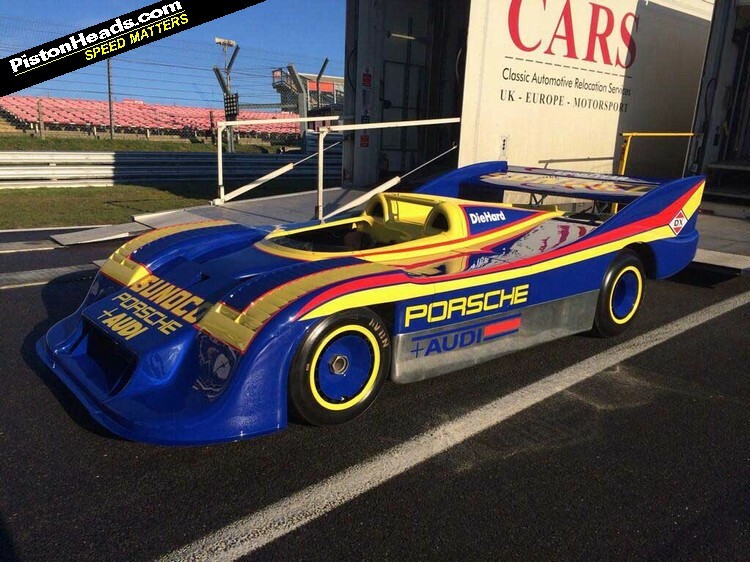 It is not a period racing car, but it is the fifth 917/30 chassis made and was Mark Donohue's spare chassis for the 1973 season. 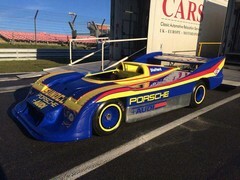 Like most car manufacturers, there came a time when Porsche no longer wanted to hold on to vast numbers of old racing car parts, so this chassis was bought by the owner of a Porsche dealership back in 1979, who then requested that Porsche Motorsport in Weissach build him a complete vehicle from the bits it had lying around. 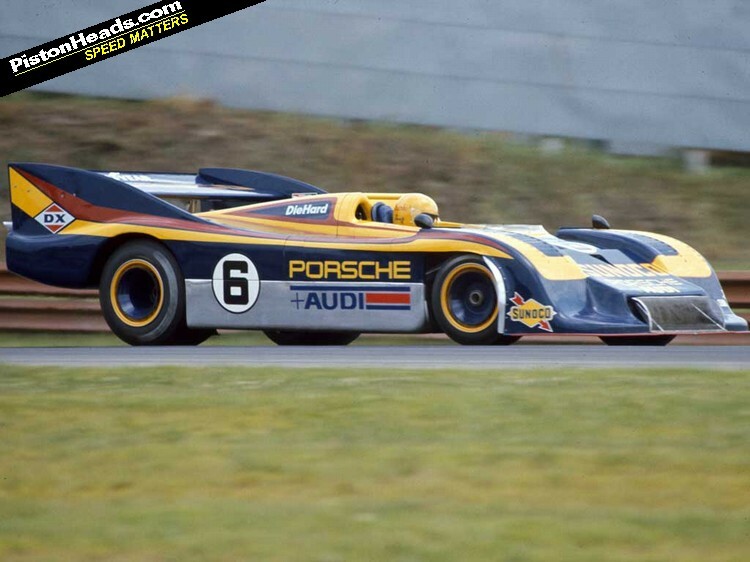 Porsche was so keen to be rid of the parts that it agreed and, in the words of Le Mans winner and Porsche motorsport figurehead Jurgen Barth "Didn't charge him so much money." 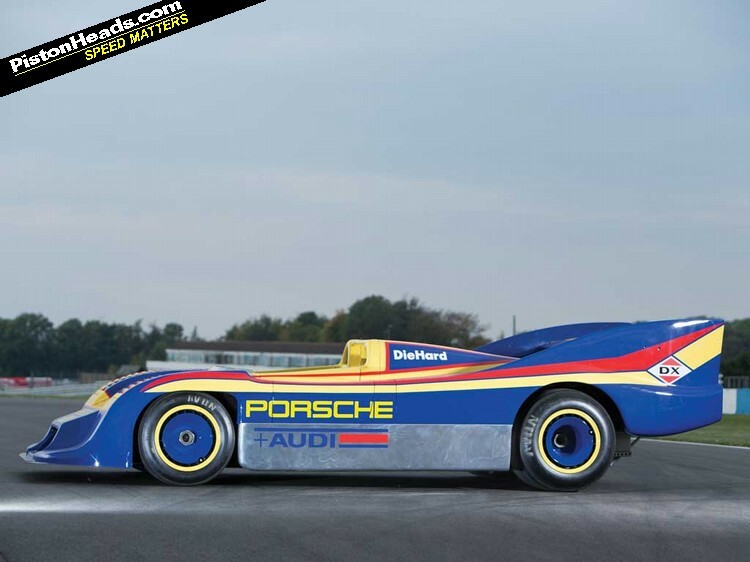 The specification is pure 917/30, with all the bodywork, longer 2,500mm wheelbase, large tanks and even adjustable boost - but the motor is actually a 5-litre, running 'only' 800hp with the boost at 1.2bar. RM asked if a couple of us wanted to have a pootle in the car, and I did think for a minute that it was a completely pointless exercise, because I'm really only interested in driving stuff to within a good percentage of its outright potential. 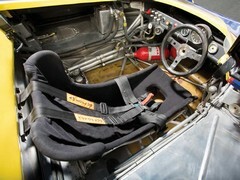 But then the thought occurred to me: what if I never get another chance to sit in a moving 917/30. How could I possibly live with myself? In the eyes of this impressionable young man, the car itself is among the most awe-inspiring objects ever to run on four wheels. 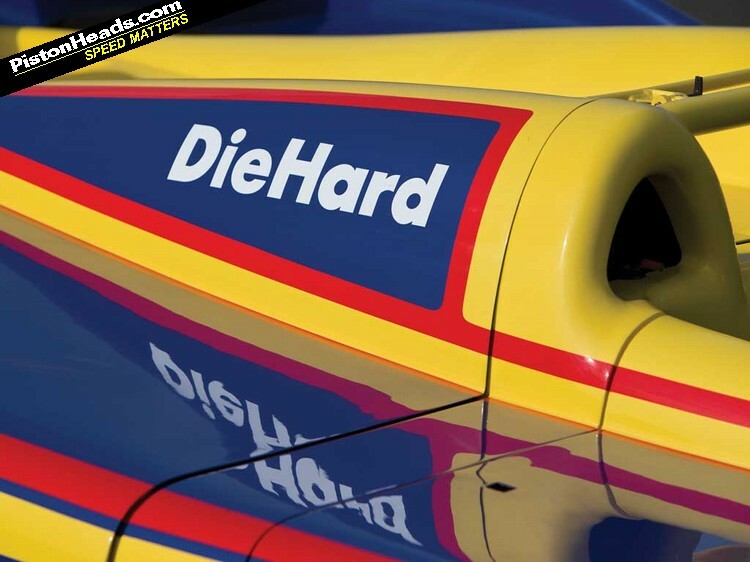 I include all Formula 1 cars when I say that I have never seen a racing machine so utterly focused on the job of maximising performance within the regulations - if that's what you could call Can-Am's rules! It is a collection of the thinnest metal tubes, housing a vast engine, the driver is surrounded by fuel and his ankles sit just ahead of the front axle line. 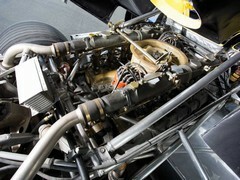 With the 5.4-litre motor fitted, a /30 was timed from rest to 200mph in 13.4 seconds. 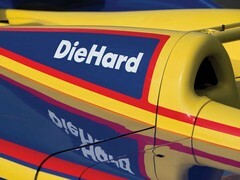 With some extra coolers fitted, Donohue set a closed-course speed record at Talladega of 238mph. As a means of shattering your skeleton, this car is unsurpassable. 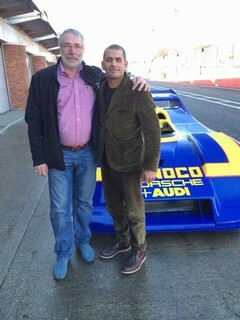 Now, as many of will be aware, another Porsche 917 caused a fellow journalist a few problems when it shat itself recently, and I wasn't very keen on being bankrupted, so asked RM for every reassurance that my little tootle would be underwritten by them. 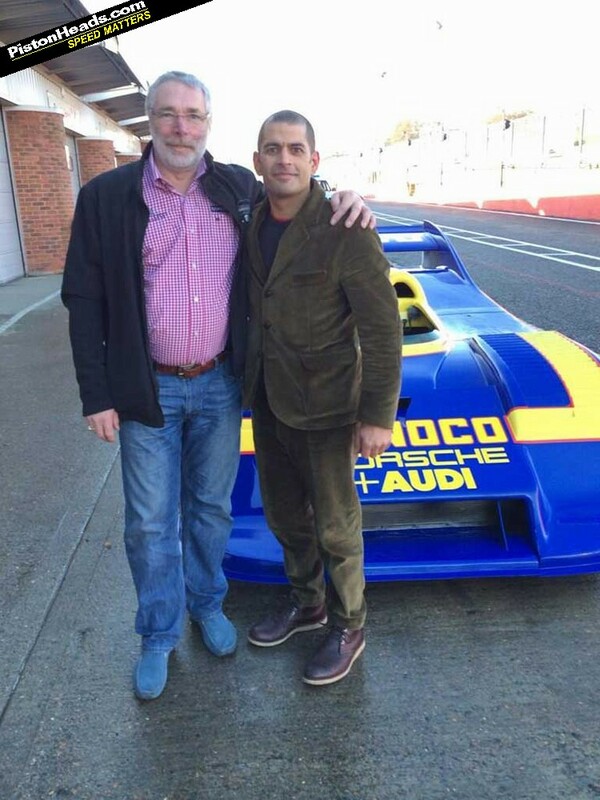 Rather than simply agree to this, they went 10 stages further and sent Jurgen Barth, the man who knows more about old Porsche racing cars than just about anyone else, to drive it before myself and my pal Dickie Meaden did. So Jurgen climbs in, apparently completely unfazed by the dusting of frost on the pit exit, the wet track and the rubber of unknown provenance. Watching him adjust the boost control with his own little screwdriver is one of the coolest things I've ever seen. Then they start the beast and we all just stand and gawp for five minutes. The block had been warmed a little before, then the whole thing fired into life and the noise was all-enveloping. Not a yelping DFV shriek but a great gnashing of components and a radiating sense of sheer power I've never before sensed from an internal combustion engine. At first the mixture was all over the place, then as it warmed it settled, the black smoke disappeared and Jurgen bumbled out of the pit garage. Not before taking a selfie though - nice touch. A few of us run to the pit-wall to see him come past for the first time. The speed low, grip is clearly non-existent, but then we hear the revs rise a little in the distance, and the unmistakable sound of twin turbos. 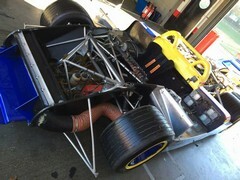 Next time past the pits the car is moving much, much faster, followed by more boosting sounds, more clipped throttle. Third time past I count the gears, he's in third as the boost spikes on the main straight and he gets a reasonable squiggle on in a straight line. It sounds and looks completely outrageous. Minutes later I'm being bolted in place. Jurgen tells me the car is spinning its wheels at 6,000rpm in third gear, which is possibly incriminating since we have agreed to an enforced 5,000rpm limit. Really, I just want to say I've sat in the car. The conditions are perfect for a massive, painful, financially ruinous crash. 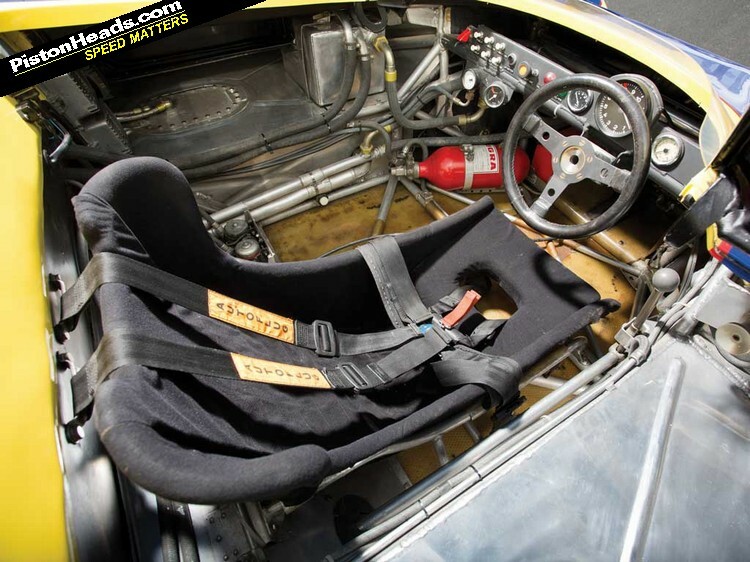 The driving environment is absurd to those of us who drive modern racing cars. You feel so exposed - head up above the front bodywork, a gorgeous thin-rimmed wheel in your hands and a 10K rev counter ahead of you. To the left are two gauges that look like regulators for shonky old scuba equipment, to your right is the boost knob. Jurgen has calmed it to 0.8bar. I can't reach the clutch pedal, so someone stuffs a coat behind my back. As you were. 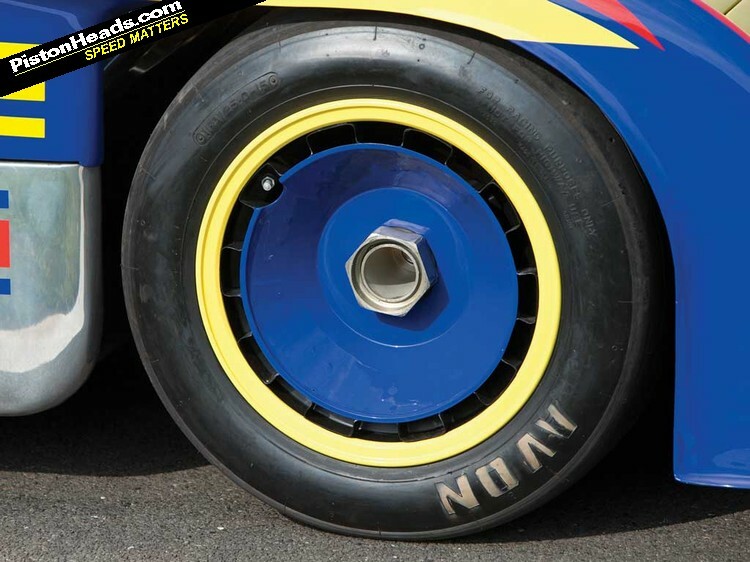 The /30 inches forwards on idle as you release the clutch pedal. 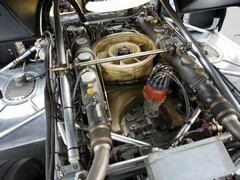 The gearbox has four speeds and full synchromesh. The linkage is grouchy though: first needs a real shove, the rest are relatively easy. The throttle pedal is the heaviest I've encountered, you have to really push it. It's as good a way of countering galactic levels of turbo lag as I can think of. After two laps literally pootling to feel the controls and simply drink in the fact that I am driving a 917/30, I try and push that over-sprung pedal a little further, the intake noise hardens and the shove is immense - it's a surging push that takes time to arrive and even at this completely pathetic level of experimentation on my part, one thing is abundantly clear, the boost doesn't disappear the moment you back off the gas. 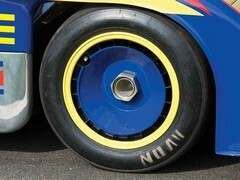 It keeps spooling momentarily, leaving your race underwear badly exposed to the fall-out of bent-917 trauma. I can't tell you how fast the /30 is, nor what it feels like to drive at 9/10ths. I gather the brakes were a problem in period, but they were more than adequate hauling the car from 60mph to 35mph into Druids. 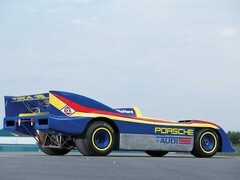 In fact I can't tell you much about the 917/30 other than the fact that its awesomeness is immediately apparent when it is stationary, only to become distinctly alarming even when driven at quite pathetically low speeds. 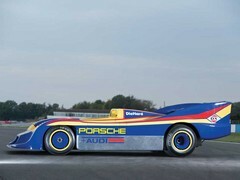 In my world, this is the most exciting racing car ever built. And I've driven it. Very slowly. Someone buy it and let me drive it very fast, please. And where, pray, is your video Chris? Hmmm? Well done anyway. As usual you are allowing us to indulge by proxy. And a Very Happy Christmas and New Year to you and your family, Chris. What an incredible, bonkers machine. That rear-on shot is amazing. 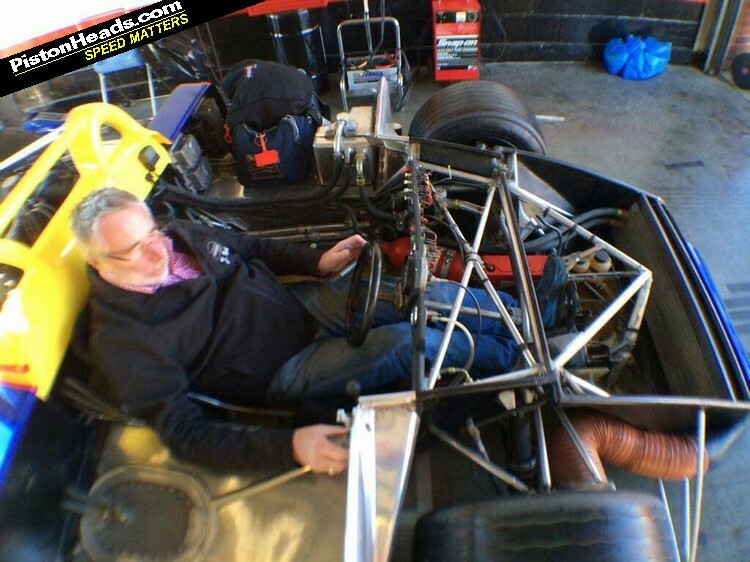 It's a shame health and safety has got in the way of this kind of race car. Built for one purpose and one purpose only. To be fast and to hell with everything and everyone else. The ONLY thing wrong with this car is the "feet as crumple zone"... Bonkers doesn't really describe it though, does it? I know the changes were necessary because you used to be able to measure driver life expectancy in number of races and count the answer on your fingers, but I can't help but feel that motorsport will never be what it was in the days of CanAm and Group-B. Harris, you lucky dog! Though I was born almost two decades after this and I can't claim to know much about it, from what I do know, Can-Am was basically the greatest racing series ever devised. It showed the possibilities of a no-holds-barred racing series where virtually everything was legal. 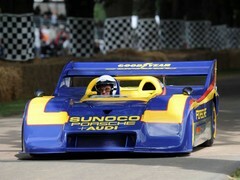 Think about it; 1,500 horsepower in the 1970's! 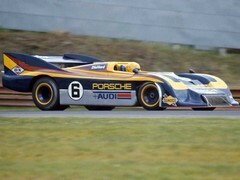 The most powerful road cars at that time had around 400 bhp, gross. By 1972 that was down to maybe 300 bhp, and by '73/'74, the most powerful cars were all rated in the 200 bhp range. Any stat anoraks know how this compares to modern supercars? Veyron? Koeniggsegg? Huayra? P1/LaF/918? 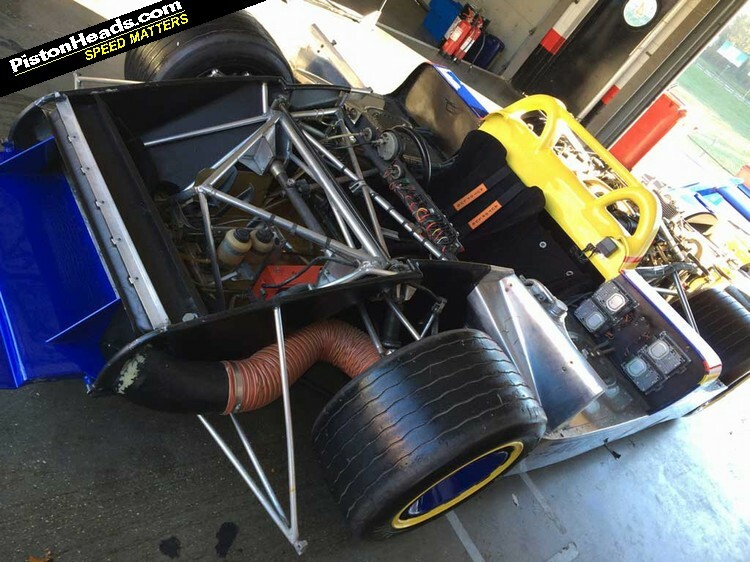 Also 1500 bhp and 849 kg makes for one helluva power/weight ratio!